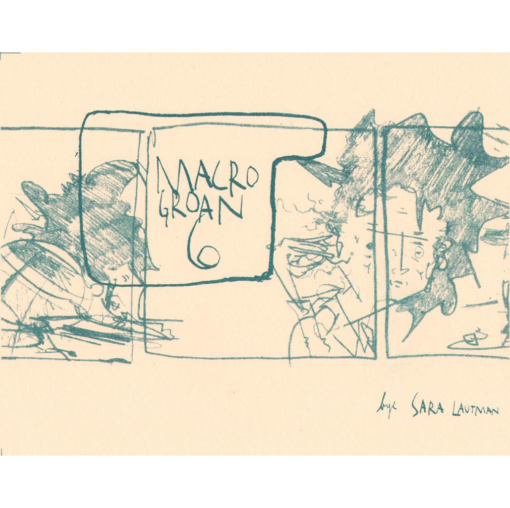 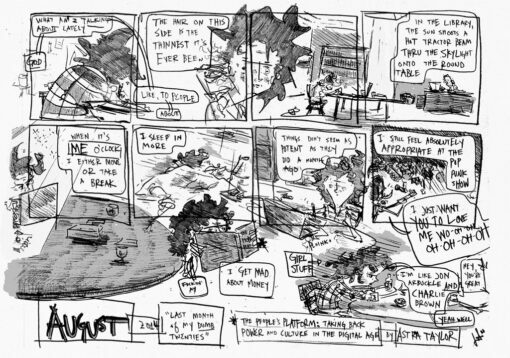 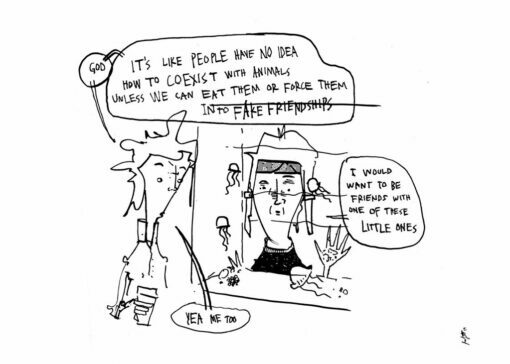 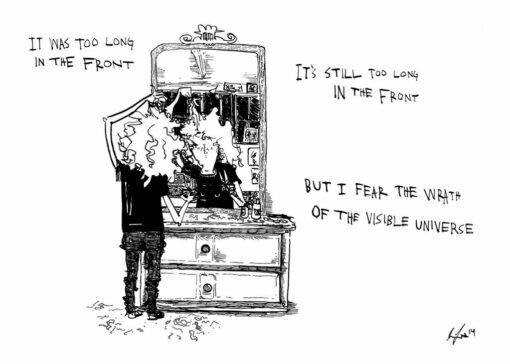 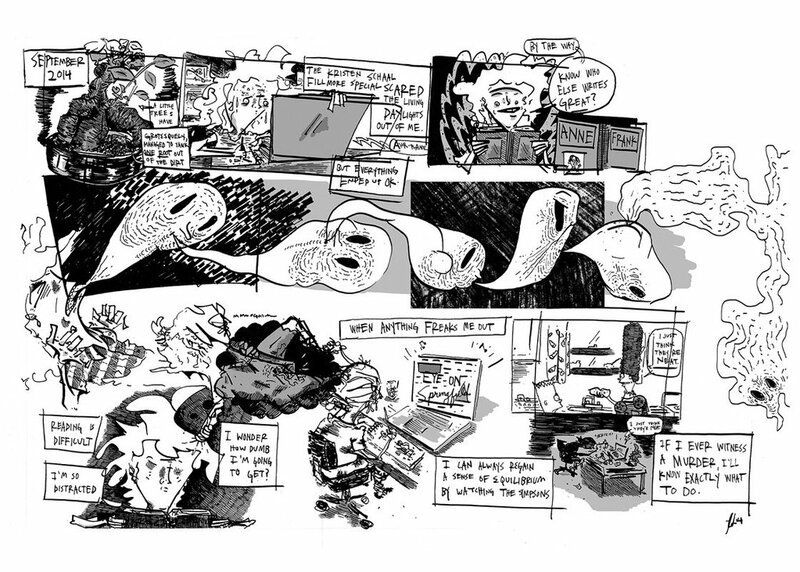 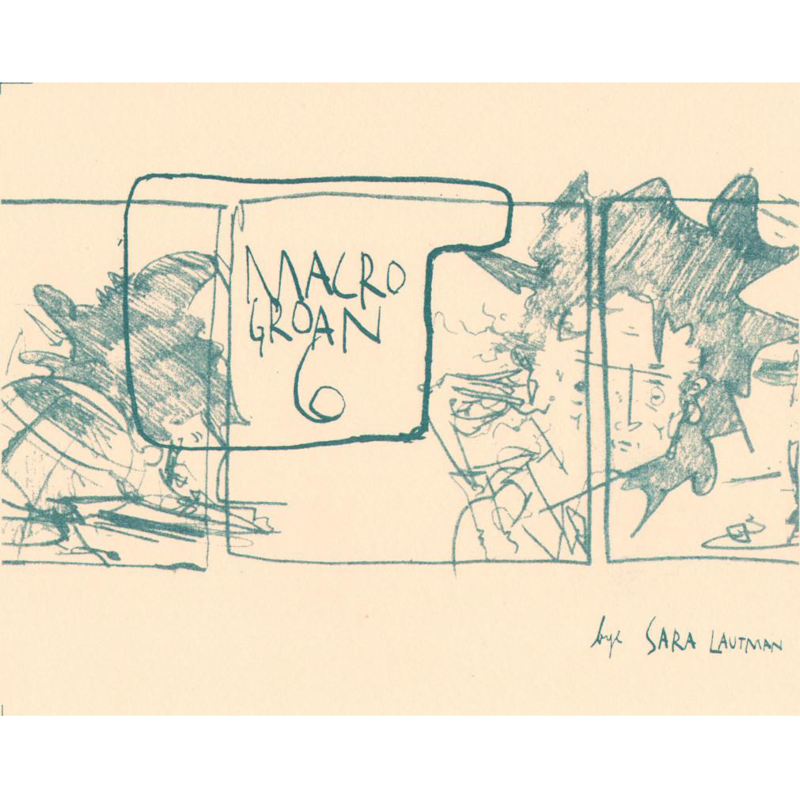 Macrogroan 6 collects Ignatz Award nominated Sara Lautman’s miscellaneous diary comics and random musings. Style and subject veer wildly from smudgy inks, watercolors & collage about a new tattoo’s accidental meaning to clean but kinetic line drawings about human/animal relations. 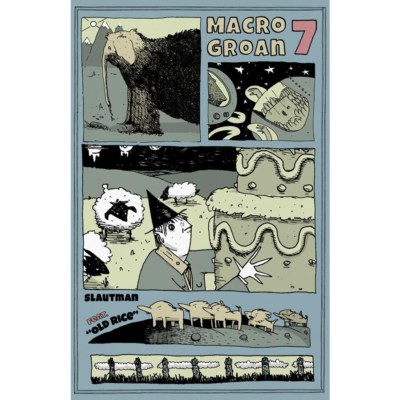 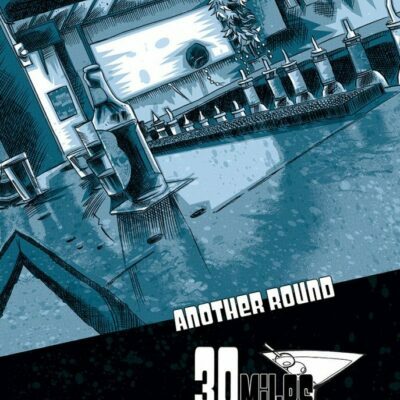 1-color risograph (teal) on ivory card stock cover with b&w interior.